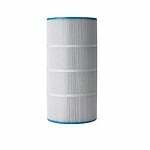 Filters Fast offers pool and spa filters to replace a large selection of brands. Filters Fast offers pool and spa filters to replace a large selection of brands. One brand that you can find on our site is Bullfrog. 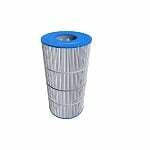 The Filbur FC-0536 7 3/4 x 5 3/4 Pool & Spa Filter replaces Unicel part number 8CH-950. Also known as part numbers FC0536 and 10-1035. Fits Bullfrog Spas. FiltersFast FF-0351 Replacement For Bullfrog Spas 5" x 9 1/4"
The FiltersFast FF-0430 is the correct replacement pool and spa filter for the Bullfrog 50.